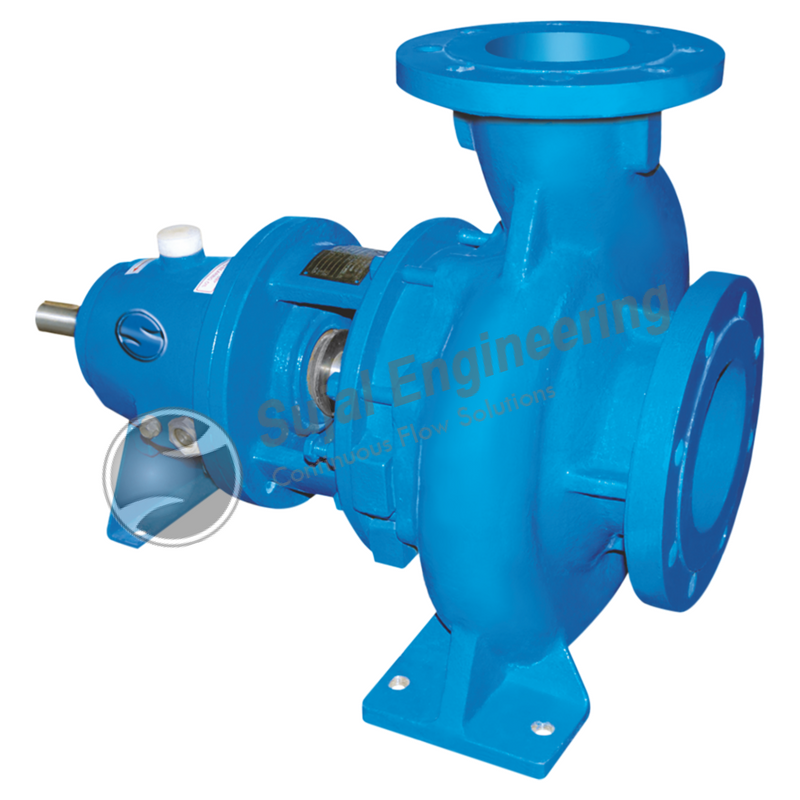 Sujal Engineering provides the best range of Centrifugal Process Pumps famous with SCPP – Series in a market. Our specially designed Centrifugal Process Pump is the most preferred hydraulic pump for industrial and domestic uses. It is used to move or raise the pressure of a liquid. High-quality impeller which is used in our centrifugal pump rotates the liquid and the centrifugal force which is generated in the pump push the liquid to move out. The impeller is the device which rotates and transfer energy to the fluid. We fabricate the centrifugal pump that includes the end-suction and back-pullout type centrifugal pump. Our heavy duty pump is capable to handle a wide spectrum of corrosive chemicals, starting from strongly oxidizing solutions to strongly reducing ones, at different temperatures and concentration, which can be used in different process plants. Back pullout design makes inspection and maintenance process easy. Our centrifugal process pumps are manufactured using graded gray cast iron carbon steel, Brass, and many other materials. We also provide other optional accessories which include M.S Fabricated base frame, superior quality of flexible coupling & coupling guard and Foundation Bolts. M.O.C. : CI, CS, SS304 / 316, SS 304 L/316L, Alloy 20, Hast alloy B or C,CD4MCU, etc…….